YOU WAKE UP with a start, and as awareness returns, your heart begins to pound and the shakes begin again. Oh God, it's morning and you must leave the safe womb of darkness and the bed. You reach down for the bottle, knowing already that it's empty. It always is, in spite of your nightly resolve to leave a drink for morning. Never mind, there's some in the garage, if you live to get there. A quick gulp of coffee later, you're fumbling for the bottle hidden inside the old tire casing. The whiskey is tepid and revolting, and the first gulps won't stay down. But at last one does, and that wonderful, warm glow starts to spread. A few more quick ones before you back the car out, and at last your heart stops pounding and the shakes begin to die away. You get to your office, where you work for yourself, by yourself, in a field of personal service to the public. Your main supply of liquor is there, and now you have a few more drinks before you begin work--such work as there is. Before you started drinking on the job, you had a thriving business. But now it is dwindling steadily. Between visits of those who still do come, you take controlled nips at the bottle until noon. The thought of food has become nauseating, and you can't face the prospect of lunch at home, so you sit and drink for a half-hour or so, trying to work up a false appetite. When you finally get home, the family glares at you and attacks the delayed meal, while you pick and push at your plate, muttering excuses about this not being your favorite dish. Nothing has been, for a long time now. After lunchtime, it's back to the office, a few more quick ones, and then to the afternoon appointments. Pleasantly glowing now, you'd rather talk than get down to business, so long, rambling monologues destroy your work schedule and put you far behind. Some of the people who have been waiting impatiently leave quietly, never to return. Occasionally, one may say on the way out that he'll phone later, but you know he won't, and after a brief flash of resentment, you're glad about it. One less person to take up your time. You don't even get upset about some of the ugly things that have started happening: bitter arguments over bills you've been neglecting to mark paid; complaints about the poor quality of service you've been rendering; incidents like yesterday's, when a woman walked out, saying that you didn't look or act fit to be at work. Some afternoons, in spite of trying to control it, you drink too much and have to lock up the place and lie down. People come, try the door, knock, then go away, many for the last time. But most days you stick it out until the closing hour, then fortify yourself for the ordeal of dinner. Before you go home, though, every few days there's the vital task of replenishing your liquor supply. You have a system of buying in rotation from seven or eight stores in your own and neighboring towns, so that no one will realize how much and how often you buy. Sometimes this involves a twenty-mile drive, at breakneck speed, but then you're secure for a few days more. After dinner comes the best time of your day, an evening of uninterrupted heavy drinking. You have long since become a solitary drinker, so it's back to the office again, where the liquor and privacy are. You used to make excuses to the family for returning there, but now you just go, and be damned to them. Simply drinking and daydreaming would be satisfying enough, but some nights there's a ball game to listen to on the radio, or a new magazine to read. Best of all, maybe there's a letter to write, prompted by a controversial remark heard on the radio or read in the newspaper. You'll put that character straight about things! He won't make that mistake again! So out comes the typewriter and the letter begins, but is never finished. As drunkenness progresses, so do the mistakes in typing. Have a drink and start over, you tell yourself. Have another and do it again. By midnight or later, the floor is littered with crumpled balls of paper. The devil with it! You'll do it some other time. It never gets done. Next time, it's someone else's turn to get the ax. By now it's safe to go home, with everyone there asleep. Maybe this is a routine night and you make it home safely, with perhaps only some paint scraped off the side of the car from going into the garage at a bad angle. Some other nights aren't so good, and the local police spot you and take you home in the squad car, while one of them drives your car for you. This is a benefit of once having been a respected businessman. The respect is gone now, and only some kindness remains. You don't like to remember those few disastrous times, en route home, when you wrecked your automobile and were lucky not to be seriously hurt. But this night all is well, and finally you lie in bed, a bottle within reach, and drift off into sleep. Some nights, though, and more often lately, sleep doesn't come. You think, "Oh God, why am I doing this to myself? How long can I keep on this way? What is going to become of me?" But then your master, cunning-baffling-powerful alcohol, soothes away your fears. And although you know, deep down inside, that you have a bad drinking problem, and your business is nearly ruined, and the small savings you have left are nearly gone, and your family is about through with you. . .in spite of all this, you tell yourself, "Well, I'm getting along all right yet. I go to work every day, and I've still got money in my pocket, and the family hasn't left, so I guess I'm still managing everything okay. Anyway, if things really get bad, I know I can quit the stuff--and I will. But not yet." Divine Love Never Fails. Divine Love solves every problem. Statements like these appear again and again in metaphysical books, and, of course, they are perfectly true; but one does not always feel that either the writers or the readers clearly understand what they signify. Certain it is that many people firmly believe them, and yet have obviously been unable to prove them in demonstration. Why is this? I think the explanation is that, consciously or unconsciously, people think of Divine Love as some sort of Power outside of themselves; probably up in the sky like the orthodox heaven; and they expect that presently, if they beg hard enough, this Power will come down and rescue them. As a rule they would not admit harboring such an idea, but I believe that some such idea is what they are actually entertaining. There is, in fact, no such outside power, and therefore you cannot receive help in that way. The only place where Divine Love can exist, as far as you are concerned, is in your own heart. Any love that is not in your heart does not exist for you, and therefore cannot of course affect you in any way. The thing for you to do, then, is to fill your own heart with Divine Love, by thinking it, feeling it, and expressing it; and when this sense of Divine Love is vivid enough it will heal you and solve your problems, and it will enable you to heal others too. That is the Law of Being and none of us can change it. Now we see why criticism, grumbling, the nursing of grievances, the desire to overreach others, etc., are fatal to demonstration, because they prevent Divine Love from healing us. Fox, Emmet (2010-09-07). Make your Life Worthwhile (pp. 38-39). Harper Collins, Inc.. Kindle Edition. animates A.A.’s all around the globe. is a matter of life or death for me. If I veer from this purpose I lose. legions of recovering alcoholics stay sober by sharing with fellow alcoholics. How often have we heard it said in meetings that “God does for us what we cannot do for ourselves?” At times we may get stuck in our recovery, unable, afraid, or unwilling to make the decisions we know we must make to move forward. Perhaps we are unable to end a relationship that just isn’t working. Maybe our job has become a source of too much conflict. Or perhaps we feel we need to find a new sponsor but are afraid to begin the search. Through the grace of our Higher Power, unexpected change may occur in precisely the area we felt unable to alter. We sometimes allow ourselves to become stuck in the problem instead of moving forward toward the solution. At these times, we often find that our Higher Power does for us what we cannot do for ourselves. Perhaps our partner decides to end our relationship. We may get fired or laid off. Or our sponsor tells us that he or she can no longer work with us, forcing us to look for a new one. Sometimes what occurs in our lives can be frightening, as change often seems. But we also hear that “God never closes a door without opening another one.” As we move forward with faith, the strength of our Higher Power is never far from us. Our recovery is strengthened by these changes. Just for today: I trust that the God of my understanding will do for me what I cannot do for myself. is a very natural reaction. one of our most important communications. It’s sometimes a surprise to learn that we mismanage our affairs even in sobriety. We may even find that we seem to be addicted to problem situations. It takes a crisis, it seems, to give us the energy and purpose we need to get things done. One common form of this strange addiction is procrastination. Some of us have a tendency to put off important tasks until the very last moment, and then work overtime to get the job done. Is this laziness? Maybe it is, to some extent. Maybe, however, we need an impending emergency to get motivated and energized to do what needs to be done. Maybe we’re addicted to crisis. If so, this may be another disease that can be arrested but not cured. We arrest it by slowly adopting better work habits and paying closer attention to schedules and deadlines. Working with greater efficiency, we’ll have more time and energy for the things that really matter. Today I don’t need a crisis to take charge of my life and do what needs to be done. I’ll tackle at least one thing I’ve been putting off, and either complete the task or get a good start on it. be people we believe in. Let’s be people we can love. Prayer for the Day: Higher Power, help me know myself through my inventories. My skills, talents, values, and my loves must be clear to me so I can use them to do Your will. Action for the Day: Today I’ll think about what I’d really love to do through my work. Sometimes I surprise myself with what I say, think or contemplate. involvement with my fellow man revolves around my honesty. In the knowledge of Your love let me share my feelings. We’re taught in The Program that “faith without works is dead.” How true this is for the addicted person. For if an addicted person fails to perfect or enlarge his or her spiritual life through work and self-sacrifice for others, s/he can’t survive the certain trials and low spots ahead. If s/he doesn’t work, s/he’ll surely return to his or her addiction; and if s/he returns to addiction, s/he’ll likely die. Then faith will be dead indeed. Do I believe, through my faith, that I can be uniquely useful to those who still suffer? May my faith in my Higher Power and in the influence of The Program be multiplied within me as I pass it along to others who are overcoming similar addictions. May I be certain that my helping others is not simply repaying my debts, but it is the only way I know to continue my spiritual growth and maintain my own sobriety. The more faith I can give, the more I will have. There is a time to let things happen and a time to make things happen. One of the many facets of the disease of compulsive overeating, in my experience, has been the inability to make a positive change in my choice of foods without using the spiritual steps of recovery. Prior to coming into program, I would plan, pray, and write down what I wanted to do, but change never happened permanently. Looking back, it seems that I was really trying to make things happen, but I was trying to do it without the spiritual guidance and strength of this program through my Higher Power. I didn’t have all the spiritual pieces needed to make the almost impossible changes inside myself before the physical changes could happen. There are many tools of the program, such as sponsorship, a food plan, food abstinence, and practicing the spiritual program through actively working the Twelve Steps. I have learned through failure that I must actively work the steps of the program. I can’t just let things happen in my recovery in regard to step work, because then the disease will win. When I daily commit to working the steps to the best of my ability, this brings me the spiritual recovery that allows physical and emotional recovery as well. I cannot make the spiritual recovery happen, since that action belongs only to my Higher Power. What I can do is to take the action by doing the step work, and from there leave the outcome in my Higher Power’s hands. 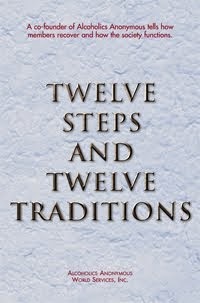 I will strive to work the Twelve Steps to the best of my ability, and let things happen in my Higher Power’s time. Modern civilization says, don’t pray in school; don’t pray at work; only go to church on Sunday. If you don’t believe what I believe, you’ll go to hell. Deviancy is normal. Our role models cheat, drink and run around; these are the people in the news. The news sells bad news; no one wants to hear good news. Kids are killing kids. Victims have little protection. Violence is normal. Leaders cheat and lie. Everything is backwards. We need to pray for spiritual intervention. We need to have guidance from the Creator to help us rebuild our families, our communities and ourselves. Today, I will pray for spiritual intervention from the Great Spirit. Grandfather, we pray for your help in a pitiful way. If there were no rain, fields would become parched and brittle, and many creatures would die. If we could not cry, all our emotions would eventually dry up, too, and soon we would not laugh either. Our tears cleanse us. Our tears heal. They make us whole. Tears are as important to our growth as rain is to a flower. They help release the pressure of sadness so we can feel better. After a storm, when the sun shines again through the clouds, a brightly colored rainbow appears. After our tears, our inner sun shines, and rainbows are formed from our pain. How well can I accept my tears as part of my happiness today? It is most discouraging to many of us to find, after many weary months of trying to work on our moral inventory and studied efforts to eliminate some of our worst character defects, that the more we do the more we find to do. It is not that we are not making progress, but as we steady ourselves from a coldly analytical viewpoint, we find more defects than we ever realized we possessed. Do not become discouraged when this situation exists. It is very evident proof of progress that you have come to a conscious realization that these new defects exist and you are at least bringing them out in the open where you can get a crack at them. Nothing is meant to be. In ancient texts, the idea of predestination is very strong, but the usage of the term is purely metaphorical. People in the past used the word to express feelings of affinity for a place, a time, or for others. But nothing of the future is set. There is no cosmic puppeteer at work. We are solely responsible for our own actions. It is true that we can become mired in circumstances so strong and so far-reaching that they will continue to have ramifications far into the future. For example, if we construct circumstances right, such as starting an organization to help others, then the good will last for a long time. However, if we fall far into debt and do nothing to help ourselves, then the bad will also last a long time. Yet in both cases, our lasting situations are results of our own actions. This is not destiny. It is causality. Causality is from the past, and nothing is acting from the future. There is no script, no pattern to walk into. Everything has to be created, and we are the artists. Those who follow Tao endeavor to have as few restrictions placed upon them as possible. By completing each action, they minimize causality. By living fully in the present, they absorb the best of what each day has to offer. By understanding that there is no literal destiny, fate, or predestination, they keep the future as free and open as possible. That is truly the openness of life. In the beginning mindfulness takes away worries and fears about past and future and keeps us anchored in the present. In the end it points to the right view of the self. -Ayya Khema, "Be an Island"
It is sometimes said: "What is the use of treatment? Up till now my treatments have produced very little result." the answer to this is that in very many cases treatment has produced extraordinary and dramatic results. "It has subdued kingdoms, wrought righteousness, obtained promises, stopped the mouths of lions, quenched the violence of fire, turned the edge of the sword, out of weakness made strength, and turned to fight the armies of hell," not only in Bible times, but in our own age and day. If it is objected that one treatment or one week of treatment does not make the complete and final demonstration, that, apparently, one will be required to go on praying all his life, this is perfectly true. We are required to go on praying all our lives. But it may be added that as we progress in the quality of our prayers, they will not be a burden, but a joy and a refreshment--and in any case, there is no other way. It is also said, and it is perfectly true, that in some cases there is very little result to show for treatment; but this only means either that the patient or his healer has not been treating in the right way (and this is to be remedied by praying for guidance); or that the difficulty is very deeply seated in consciousness and is requiring more treatment than has yet been given. Because one does not yet see a result it does not at all follow that no work has been done. But in any cases, the remedy is still--more treatment, because there is simply not any other way out of trouble. The Lord also will be a refuge for the oppressed, a refuge in times of trouble (Psalm 9:9). Fox, Emmet (2010-09-07). Stake Your Claim: Exploring the Gold Mine Within (pp. 83-84). Harper Collins, Inc.. Kindle Edition. Some may think that we have carried the principle of group autonomy to extremes. For example, in its original “long form,” Tradition Four declares: “Any two or three gathered together for sobriety may call themselves an A.A. group, provided that as a group they have no other affiliation.” . . . . But this ultra-liberty is not so risky as it looks. As an active alcoholic, I abused every liberty that life afforded. How could A.A. expect me to respect the “ultra-liberty” bestowed by Tradition Four? Learning respect has become a lifetime job. A.A. has made me fully accept the necessity of discipline and that, if I do not assert it from within, then I will pay for it. This applies to groups too. Tradition Four points me in a spiritual direction, in spite of my alcoholic inclinations. In our active addiction, fear of the future and what might happen was a reality for many of us. What if we got arrested? lost our job? our spouse died? we went bankrupt? and on, and on, and on. It was not unusual for us to spend hours, even whole days thinking about what might happen. We played out entire conversations and scenarios before they ever occurred, then charted our course on the basis of “what if…” By doing this, we set ourselves up for disappointment after disappointment. From listening in meetings, we learn that living in the present, not the world of “what if,” is the only way to short-circuit our self-fulfilling prophecies of doom and gloom. We can only deal with what is real today, not our fearful fantasies of the future. Coming to believe that our Higher Power has only the best in store for us is one way we can combat that fear. We hear in meetings that our Higher Power won’t give us more than we can handle in one day. And we know from experience that, if we ask, the God we’ve come to understand will surely care for us. We stay clean through adverse situations by placing our faith in the care of a Power greater than ourselves. Each time we do, we become less fearful of “what if” and more comfortable with what is. Just for today: I will look forward to the future with faith in my Higher Power. The A.A. program is one of faith, hope, and charity. It’s a program of hope because when new members come into A.A., the first thing they get is hope. They hear older members tell how they had been through the same kind of he!! that they have and how they found the way out through A.A. And this gives them hope that if others can do it, they can do it. Is hope still strong in me? The rule of God’s kingdom is perfect order, perfect harmony, perfect supply, perfect love, perfect honesty, perfect obedience. There is no discord in God’s kingdom, only some things still unconquered in God’s children. The difficulties of life are caused by disharmony in the individual man or woman. People lack power because they lack harmony with God and with each other. They think that God fails because power is not manifested in their lives. God does not fail. People fail because they are out of harmony with Him. I pray that I may be in harmony with God and with other people. I pray that this harmony will result in strength and success. “I now realize that my former prejudice against clergymen was blind and wrong. They have kept alive through the centuries a faith which might have been extinguished entirely. They pointed out the road to me, but I did not even look up, I was so full of prejudice and self-concern. Remember the Past, but don’t live in it. In some ways, the Twelve Step recovery process invites trouble in dealing with the past. We’re supposed to forget the past and live for today. But the opening thoughts delivered at meetings often review the past in painful detail, thus reinforcing the tendency to relive it. How should we approach this problem? Our need is to remember the past while releasing any bitterness, regrets, or hurts connected with it. We must never live in the past, which we are doing when we feel either resentment or remorse about actions of others or ourselves. It is, however, helpful to remember what happened in the past so that we will no longer repeat the same mistakes. We should also remember the past as a means of keeping ourselves both humble and honest. It should help us feel gratitude that we no longer have to live as we once did. Remembering the past in open “lead” meetings is sometimes called “qualifying” as an alcoholic. It is an aid to carrying the message of recovery and a way of building more strength and understanding for today and tomorrow. I’ll be pleased today that I can remember the past without living in it. I am free from the old hurts and problems that would keep me from directing all of my energies and attention to what I am doing here and now. The Steps are filled with words and phrases like shortcomings, exact nature of our wrongs, persons we had harmed, and when we were wrong. The Steps help us accept all parts of who we are. Our program asks us to share these parts of ourselves with others. We heal by doing this. It’s hard to talk about how wrong we can be, but we must. It’s part of how we recover. Remember, all of us have bad points. At times, we act like jerks. When we can talk about our mistakes, we end up having less shame inside of us. Prayer for the Day: Higher Power, help me to love and accept myself—as You love and accept me. Give me the courage to share all my secret wrongs. Action for the Day: Today, I’ll review my Fourth Step. If I haven’t done this Step, I’ll start today. Spirituality enables me to enjoy my life. I enjoy my sobriety. I enjoy the freedom of a “God as I understand Him”. I enjoy the fellowship of ideas and opinions that are based on love and honest sharing. The world is to be enjoyed and not endured! God is fun. For years I thought that God was a judge to be feared; angry, hostile and revengeful. Strange how silly this all seems now, but for years I was afraid of God and feared His presence. Then I was introduced to a God who is beyond institutions and dogmas, free of creeds and punishments, a loving and joyous God who created me to be happy. Today I am enjoying my freedom. God, the Father of the Universe, is also “Daddy” to us all. As I grow in The Program — sharing, caring, and becoming more and more active — I find that it’s becoming easier to live in the Now. Even my vocabulary is changing. No longer is every other sentence salted with such well-used phrases as “could’ve,” “should’ve,” “would’ve,” “might’ve.” What’s done is done and what will be will be The only time that really matters is Now. Am I gaining real pleasure and serenity and peace in The Program? That I may collect all my scattered memories from the past and high-flown schemes and overblown fears for future and compact them into the neater confines of Today. Only by living in the Now may I keep my balance, without bending backwards to the past or tipping forward into the future. May I stop trying to get my arms around my whole unwieldy lifetime and carry it around in a gunny sack with me wherever I go. Have you ever noticed the relationship between children and the soil? Watch how happily they are touching the dirt. The children play in it and eat it. If you are stressed, go to a spot on the Earth, sit down, put your fingers in the dirt, dig in it. Wash your hands in the soil. When you touch it, notice what it does to your hands. Our bodies love to touch the Earth. Sometimes we get too busy and forget these simple things. Maybe you’ll even want to plant a garden or flowers. These things are mentally healthy. Great Spirit, today, let me touch the Earth so the Earth can touch me. If there is a God, there must also be a Goddess. Neither is more important than the other, both are in balance, together they create a Whole. In the olden days, the Goddess was seen as a Trinity: the Maiden or Virgin, the Mother, and the Crone. The Virgin was one-in-herself, owned by no man. The Mother was the one in the fullness of her creative powers, whether creating children, works of art, or other work out in the world. The Crone was the wise old woman. Both women and men connected with the Triple Goddess. To women, the Goddess was a symbol of their innermost selves and the beneficent, nurturing, liberating power within. The Crone, for example, showed them that all phases of life are sacred, that age is a blessing rather than a curse. To men, the Goddess represented their connection with their own hidden female selves. We are all made up of aspects of both sexes. This is our balance. When we accept what we know to be truly ourselves, which is often much more than the old role models for men and women allow, we become complete men and women. What male and female strengths do I have within me? You will see both cause and resolution. they reached deep down and were able to give something extraordinary. the momentum that success will give you. The realm of enlightenment of all the Buddhas and patriarchs is the same as that of you monks. If you have a head full of Buddhas and patriarchs, how will you ever get to see what is your own? But if you see what is your own, at that time there cannot be any Buddhas, patriarchs, other people or dharma established…The patriarah is not another person separate from yourself, and the Buddha is miraculous, pure awakening. This phrase is used several times in the Bible, and in our ordinary King James Version the whole phrase is always printed in capitals, indicating unusual importance. Now what do these very important words mean? Well, they contain nothing less than the master key to life. Holiness unto the Lord means that there is nothing in existence but the self-expression of God--that and nothing more. It naturally follows from this that you yourself, and every condition in your life today, are simply part of God's manifestation or self-expression, and therefore must be perfect, beautiful and harmonious. It may not seem so to the limited human mind, but nevertheless it is the Truth of Being. This is not a mere abstract truth, but is an extremely practical matter, because to know this and to have faith in it rapidly clears up any kind of difficulty that may be in your life. Instead of a mere academic speculation it is the most powerful healing agent in existence. It will heal the body, readjust every kind of difficulty with other people, solve all business troubles, bring you inspiration and courage, and move you into your true place if you have not already found it. These words were written upon a golden crown which surmounted the headdress of the high priest, and a later prophecy says that in the day of triumph these words shall be upon the bells of the horses. Of course, you yourself are really a high priest, as Aaron was, when you are engaged in realizing the presence of God where a negative condition seems to be, and it is in your day of triumph (when your prayer is answered) that the words will be seen upon the bells of the horses. You know those horses--and at that time the three inferior horses will have been redeemed forever. A bell is a proclamation; a summons. Church bells are rung to proclaim that a church service is about to be held and to summon the people. And bells used for secular purposes have the same essential significance. The bells on your horses will proclaim the power of prayer and will summon other people to Higher Thought because when they see the changes that have come over you they will hasten to obtain the same blessings. Do not accept trouble at its face value. Realize the holiness of god where the trouble seems to be. Have faith in it, and all will be well. Fox, Emmet (2010-09-07). Stake Your Claim: Exploring the Gold Mine Within (pp. 32-33). Harper Collins, Inc.. Kindle Edition. All A.A. progress can be reckoned in terms of just two words: humility and responsibility. Our whole spiritual development can be accurately measured by our degree of adherence to these magnificent standards. To acknowledge and respect the views, accomplishments and prerogatives of others and to accept being wrong shows me the way of humility. To practice the principles of A.A. in all my affairs guides me to be responsible. Honoring these precepts gives credence to Tradition Four–and to all other Traditions of the Fellowship. 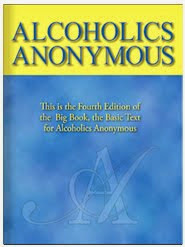 Alcoholics Anonymous has evolved a philosophy of life full of valid motivations, rich in highly relevant principles and ethical values, a view of life which can be extended beyond the confines of the alcoholic population. To honor these precepts I need only to pray, and care for my fellow man as if each one were my brother. When new in recovery, most of us had at least one person we just couldn’t stand. We thought that person was the rudest, most obnoxious person in the program. We knew there was something we could do, some principle of recovery we could practice to get over the way we felt about this person—but what? We asked our sponsor for guidance. We were probably assured, with an amused smile, that if we just kept coming back, we’d see the person get better. That made sense to us. We believed that the steps of NA worked in the lives of everyone. If they could work for us, they could work for this horrible person, too. Time passed, and at some point we noticed that the person didn’t seem as rude or obnoxious as before. In fact, he or she had become downright tolerable, maybe even likeable. We got a pleasant jolt as we realized who had really gotten better. Because we had kept coming back, because we had kept working the steps, our perception of this person had changed. The person who’d plagued us had become “tolerable” because we’d developed some tolerance; he or she had become “likeable” because we’d developed the ability to love. So who really gets better? We do! As we practice the program, we gain a whole new outlook on those around us by gaining a new outlook on ourselves. Just for today: As I get better, so will others. Today, I will practice tolerance and try to love those I meet. We’re so glad to be free from liquor that we do something about it. We get into action. We come to meetings regularly. We go out and try to help other alcoholics. We pass on the good news whenever we get a chance. In a spirit of thankfulness to God, we get into action. The A.A. program is simple. Submit yourself to God, find release from liquor, and get into action. Do these things and keep doing them and you’re all set for the rest of your life. Have I got into action? God’s eternal quest must be the tracking down of souls. You should join Him in His quest. Through briars, through waste places, through glades, up mountain heights, down into valleys. God leads you. But ever with His leadership goes your helping hand. Glorious to follow where the Leader goes. You are seeking lost sheep. You are bringing the good news into places where it has not been known before. You may not know which soul you will help, but you can leave all results to God. just go with Him in His eternal quest for souls. I pray that I may follow God in His eternal quest for souls. I pray that I may offer God my helping hand. Few people will sincerely try to practice the A.A. program unless they have “hit bottom,” for practicing A.A.’s Steps means the adoption of attitudes and actions that almost no alcoholic who is still drinking can dream of taking. The average alcoholic, self-centered in the extreme, doesn’t care for this prospect–unless he has to do these things in order to stay alive himself. We know that the newcomer has to “hit bottom”; otherwise, not much can happen. Because we are drunks who understand him, we can use at depth the nutcracker of the-obsession-plus-the-allergy as a tool of such power that it can shatter his ego. Only thus can he be convinced that on his own unaided resources he has little or no chance. choose to leave a signature. Wonderful coincidences are appearing every moment of the day. People who live the spiritual life are especially positioned to recognize and understand coincidences. The founding of AA abounds with coincidences that boggle the mind. Almost by chance, the Oxford Group ideas found their way to Bill Wilson. A business trip took him to Akron where, coincidentally. An earnest group of Oxford Group people were trying to help Dr. Bob Smith to sobriety. With his business venture in collapse, Bill made the telephone call that put him in touch with Dr. Bob, eventually resulting in the launch of AA. Such miraculous coincidences work for the fellowship, and they’re also at work in our individual lives. If we look closely, we’ll discover that many such coincidences helped bring about our recovery or some other blessing. God is the guiding power behind these coincidences. What appears to be chance is really a marvelous intelligence coordinating random events for the good of all. I’ll have confidence today that God is always bringing positive results out of a number of random events. Unless I accept my faults I will most certainly doubt my virtues. Before recovery, we saw only a blurry picture of ourselves, like we were looking through an out-of-focus camera lens. We couldn’t see the good in ourselves because we wouldn’t look close enough. Step Four helps us look more closely. We see a picture of ourselves, with our good points and our faults. We don’t like everything we see. But we can’t change until we accept ourselves as we are. Then we can start getting ready to change. Prayer for the Day: Higher Power, help me see the good in me and love myself. Action for the Day: Today, I’ll make a list of four of my good points and four of my faults. Am I getting to have my Higher Power remove these defects of character? Prejudice divides people and feeds upon anger, resentment and fear. Today I can see that my prejudices stemmed from my seeing in others what I disliked in myself. I hated people who appeared “weak” because I knew that I was weak and vulnerable. I hated people who were “different” because I knew there were parts of me that were different from how I appeared. I hated the people who stood up for their principles and talked about their feelings because, as a drunk, I never really had any principles and I couldn’t get in touch with my feelings. Today I try to talk about my prejudices and overcome them. A knowledge of those people I disliked has proven useful in slowly overcoming my prejudices. Teach me to locate myself in my criticism of others. I will resolve to observe with new interest even the commonplace things that happen today. If I learn to see everything with a fresh eye, perhaps I’ll find I have countless reasons for contentment and gratitude. When I find myself trapped in the quicksand of my negative thoughts I’ll turn away from them — and grab for the lifesaving strength of sharing with others in The Program. Do I carry my weight as an all-important link in the worldwide chain of The Program? I pray that God will open my eyes to the smallest everyday wonders, that I may notice and list among my blessings things like just feeling good, being able to think clearly. Even when I make a simple, unimportant choice, like whether to order coffee or tea or a soft drink, may I be reminded that the power of choice is a gift from God. I am blessed with the freedom of choice. Separate needs are weak and easily broken; but bound together they are strong and hard to tear apart. For most of my life before coming into the program, I was a bit of a loner. I never had a lot of friends, perhaps because of my feelings of inadequacy, and was never good at sports, especially team sports. So I buried myself a lot in books, in academic achievements at which I excelled, mainly because I could do that on my own. I lived in a fantasy world where a knight in shining armor would come and rescue me, and my life would then be perfect. I had never even had a serious long-term relationship until I met my first husband, so it was hardly surprising that I made a bad choice and after having three children and much heartache, got divorced. When I first came into program, it was the first time I had ever felt part of a big group, and most importantly they all spoke my language. Their experiences were my experiences. These wonderful people became my family. There was, and still is, for me an incredible sense of belonging in the fellowship. No longer do I have to brave it on my own as there will always be someone on the other end of the line or in a meeting who can identify and share with me what I am going through. The strength that I feel when I come into the meeting rooms or speak to a fellow member on the phone is a powerful sustaining force for me that has helped me through countless difficult situations and continues to do so. I only need to reach out and join hands with others in the fellowship to gain the strength to do things I could never do before. It is only with their help, support and love that I am fully able to recover. I will not cut my conscience to fit this year’s fashions. Every fall there seems to be something new and different to get for school – a special folder, a new style of pants, or maybe a different haircut. These things change from year to year. Sometimes we get carried away with the current trends. We start putting too much importance on such things. We may be tempted to join our friends in teasing someone who doesn’t wear the “right” clothes, or avoid someone who doesn’t say the “right” things. This is when we need God’s help. Perhaps we can become the leaders for the next trend – looking beyond appearances of others to the beauty inside them. Will I see the true value in those around me today? The span of human life is such a small part of eternity that the length of your life, whether it be 20 years or 100, is of no moment. Yet the lifespan of some men has, and will continue to have, great influence upon many succeeding generations. If you can by one single act do something that will benefit just one person 50 years from now, you will have done more than millions who have before you. Few leave anything to posterity when they die that will outlive their tombstone. The altar is a tool. If we kneel before it and say we have done wrong, we are really telling that to ourselves. If we give thanks for our good fortune, we are expressing our modest appreciation for good luck. There is no outside force listening to us. There is no divine retribution for our wickedness. The altar is merely symbolic. Those who follow Tao use it to focus their self-awareness. When we step away from the altar, we should not lose self-awareness. We should not take the fact that worship is symbolic to behave in immoral ways. Instead, we still have to act with a conscience and lead others without manipulating them or taking advantage of them. It takes maturity to grasp that there are no gods and yet still behave as if there were. It takes insight to know that you must be your own disciplinarian. Only the wisest can lay down their own “divine laws” and find guidance as if they were truly heaven’s word. There is no Dharma that can be explained, no Mind that can be spoken of: inherent reality-nature is empty. Going back to the fundamental basis, it is the Path. The real identity of the Path is empty and boundless, vast and pure. With its stillness and solitude, it obliterates the cosmos. It pervades ancient and modern, but its nature is pure. This is the pure buddha-land. Who is our peace? Of course, we all know that it is God alone who is our peace--although nearly all of us tend to forget it from time to time, however heartily we believe it. Our tendency is, occasionally at least, without realizing it, to rest upon ourselves, which means, of course, that we think that we are our own peace. We would never admit this to ourselves, but it happens, and the only result is that we get no results until we change that attitude. As soon as we begin to think like that, we shall quickly realize it because things will start to go wrong, or we shall begin to feel a little depressed. Then, of course, we must remind ourselves that it is God who is our peace, and put our confidence in Him; in other words, rest on the Lord. These mistakes occur from time to time, because we have been neglecting our daily visits with God. That visit can be prayer, meditation, spiritual reading, or any other spiritual exercise. This daily visit is the greatest possible investment that you could make with your time--the ten or fifteen minutes, or half hour, whichever suits you best. Ask yourself what else you could possibly do with that time that would be of greater value, or really help you more. And yet people frequently postpone it because they tell themselves that they haven't time today, or have something much more urgent or important to do. Now, when you think that you are too busy for your daily visit, let me ask you frankly, what wonderful thing are you doing that is more important? Obviously there could not be anything nearly as important as your daily visit with God. No matter what the other thing is it cannot be as important as that. There is nothing that you could possibly do with that time which would bring you greater benefit in every respect. As a matter of fact, if you have something very important and urgent to do you will always be able to find time to do it and to have your visit too. And your visit will make that very important thing go through much more easily and successfully. Nearly always when some one tells himself that he has to neglect his daily visit because there is something urgent and important that must be done instead, the truth is that he has wasted that amount of time on things of no importance. Neglect anything else if you must, but do not neglect your daily visit with God. Acquaint now thyself with Him and be at peace. Fox, Emmet (2010-09-07). Stake Your Claim: Exploring the Gold Mine Within (pp. 40-41). Harper Collins, Inc.. Kindle Edition. We realize we know only a little. God will constantly disclose more to you and to us. Ask Him in your morning meditation what you can do each day for the man who is still sick. The answers will come, if your own house is in order. But obviously you cannot transmit something you haven’t got. See to it that your relationship with Him is right, and great events will come to pass for you and countless others. This is the Great Fact for us. Sobriety is a journey of joyful discovery. Each day brings new experience, awareness, greater hope, deeper faith, broader tolerance. I must maintain these attributes or I will have nothing to pass on. Great events for this recovering alcoholic are the normal everyday joys found in being able to live another day in God’s grace. Many of us had trouble identifying our resentments when we were new in recovery. There we sat with our Fourth Step in front of us, thinking and thinking, finally deciding that we just didn’t have any resentments. Perhaps we talked ourselves into believing that we weren’t so sick after all. Such unwitting denial of our resentments stems from the conditioning of our addiction. Most of our feelings were buried, and buried deep. After some time in recovery, a new sense of understanding develops. Our most deeply buried feelings begin to surface, and those resentments we thought we didn’t have suddenly emerge. As we examine these resentments, we may feel tempted to hold onto some of them, especially if we think they are “justified.” But what we need to remember is that “justified” resentments are just as burdensome as any other resentment. As our awareness of our liabilities grows, so does our responsibility to let go. We no longer need to hang on to our resentments. We want to rid ourselves of what’s undesirable and set ourselves free to recover. Just for today: When I discover a resentment, I’ll see it for what it is and let it go. By submitting to God, we’re released from the power of liquor. It has no more hold on us. We’re also released from the things that were holding us down: pride, selfishness, and fear. And we’re free to grow into a new life, which is so much better than the old life that there’s no comparison. This release gives us serenity and peace with the world. Have I been released from the power of alcohol? We know God by spiritual vision. We feel that He is beside us. We feel His presence. Contact with God is not made by the senses. Spirit-consciousness replaces sight. Since we cannot see God, we have to perceive Him by spiritual perception. God has to span the physical and the spiritual with the gift to us of spiritual vision. Many persons, though they cannot see God, have had a clear spiritual consciousness of Him. We are inside a box of space and time, but we know there must be something outside of that box, limitless space, eternity of time, and God. Who are the people we really like, and to be with? Most of the time, they are happy people, people who like themselves and others. Being happy is almost the entire secret of being likable. Though no person can expect to be liked by everybody, likable people have the inside track most of the time. How do we become happy and thus likable? We’re continuously told that happiness cannot be found in property, power, and prestige. It is rooted instead in self-acceptance. In feeling loved and wanted, and in giving genuine service, maybe just in the form of very useful work. Twelve Step programs are structured to make us happy if we persevere long enough in working the individual steps. While it may seem contradictory, even people with heavy burdens and personal sorrows can find underlying happiness in the program. A great deal of this also hinges on our belief in a Higher Power and a confidence that we have a place in the universal system. I can be happy today in spite of things that others would consider burdensome and depressing. Happiness really comes from God, and it also serves to attract friends into my life. I noticed my hopelessness was because I had lost my freedom of choice. By doing a Fourth Step, we start to see ourselves more clearly. We see how we’ve acted against ourselves. Soon, we hear a little voice inside telling us to stop before we act. “Are you sure you want to say or do that?” the little voice asks. Then we make a choice: we do something the same old way, or we try a new way. One part of us will always want to do things the old, sick way. This is natural. But we’re getting stronger every day. Our spirit wants to learn new ways so we can be honest and loving. Sometimes we don’t know how. But we still have a choice. We can ask for help. Prayer for the Day: Higher Power, help me listen to the little voice inside that helps me see that I have choices. Action for the Day: Today, I’ll make a choice between old ways and new ways of acting. I will call my sponsor this evening to talk about my choices. There are many ways to God and I believe that Christianity is one way. However, I am convinced that there are other ways with or without religion. My experience of the church has been good, and I have been encouraged to question and doubt, search for new areas of faith within my agnosticism, explore other religions. My experience of Christianity has been supportive of openness and compassion. God is not a prisoner of any religion and we can all learn from each other’s experiences – but we need to listen. To dismiss arrogantly the value that a religion can bring is, to my way of thinking, as negative and sick as to accept what a religion says without question. Let me find in the religions of the world the ONENESS of Your truth.